We’ve known for several decades that the process of glycosylation is one of the most important causes of aging, perhaps equally as important as the process of oxidation. During our daily metabolism, sugar molecules, (such as glucose and fructose) and reactive aldehydes and/or ketones may combine to any free amino groups on proteins, a process called non-enzymatic glycosylation (glycation). This reaction is also sometimes called the Maillard reaction. It results in a glycated protein, i.e. a protein carrying a sugar (or similar) molecules on it. This glycated protein (also called an Amadori product) may then react with any other proteins resulting in irreversible bonding between the two. This bonding process is named 'cross-linking' and it is present in all ageing organisms. Affected molecules can be anything from collagen and elastin, to enzymes and immune-proteins. Facilitators during cross-linking are the carbonyl groups (+ C=O -) which act like glue, fixing the two proteins together. Carbonyls are chemical groups which are formed as a result of a sugar (or an aldehyde or a ketone or a free radical) reacting with amino acids on a protein. In addition, carbonyls can be formed in other situations involving lipids or DNA so they are not necessarily restricted to proteins. So, carbonyls may cause not only protein-to-protein cross-linking, but also protein-to-DNA, or protein-to-lipid cross-linking, which is equally damaging to the organism. A condition called 'carbonyl stress' has been described. It involves increased levels of reactive carbonyl compounds which make cross-linking much more likely (1) and result in loss of function. An important product of cross-linking is Glucosepane. This derives from D-glucose and is a lysine-arginine protein advanced glycation end product (AGE- see below). Hitherto, it has been impossible to break this bond and reverse its effects, despite intense research into the matter. It is present in molecules such as collagen and crystalline in the eyes. Cross-linking results in formation of large insoluble aggregates of damaged proteins in the tissues. These aggregates have been named AGEs (Advanced Glycosylation End products) (or 'post-Amadori products', or 'glycotoxins') and may then go on to interact with free radicals and cause further tissue injury, through chronic oxidation. Although a steady rate of AGE formation happens as a result of normal aging (starting after the age of 20), formation of AGEs is accelerated during hyperglycaemic states such as diabetes. Copper, iron and other metals may hasten AGE formation. The process of cross-linking through glycation was hitherto thought to be irreversible, and this was one typical example of the immutability of ageing. There are many compounds aimed at preventing cross-linking, but during the past several years, new products have also been developed directed specifically at breaking the abnormal bonds between already cross-linked proteins, practically reversing protein ageing (3). Both classes of drugs, the cross-link inhibitors and the cross-link breakers, have been found to offer remarkable benefits at the clinical level, although some of these compounds suffered from commercial problems. There are several commercially available inhibitors of cross-linking. Examples of these include carnosine, aminoguanidine, metformin, acarbose, benfotiamine, and pyridoxamine. Some of these (like acarbose and metformin) are already in use as anti-diabetic drugs but new research coming to light is now emphasizing their additional anti-cross-linking effects. Other not yet widely available inhibitors are penicillamine, Tenilsetam, OPB9195, phenazinediamine (2,3-diaminophenazone), and several hundred others still in development (4), including derivatives of aminoguanidine. The following is a list of some common or relevant anti-glycators. This should not be considered exhaustive but it is merely meant to act as an initial stimulus and form basis of further self-study, in association with a qualified practitioner. The dipeptide carnosine (beta alanyl- L-histidine) is a naturally-occurring agent found in muscle and nervous tissue (5). Carnosine has shown a lot of promise as one of the most promising cross-link inhibitors. It has multiple actions and as such it has been called a pluripotent agent. One way carnosine works is by scavenging for free carbonyl groups. Carnosine is one of the few cross-link inhibitors that is not only active against protein-to-protein cross-linking but also against protein-to-DNA cross-linking (6). Another important carnosine activity is 'carnosinylation', which is a process whereby carnosine attaches to the protein bearing a carbonyl group, thus blocking the carbonyl from attaching to another protein. It is just like placing a piece of paper (carnosine) between two proteins bearing glue (carbonyls). In other words, carnosine reacts with carbonylated proteins to form carnosine-carbonyl-protein adducts. These adducts are then removed by proteolysis and degradation. Carnosine has a direct antioxidant action, and it also has a sparing effect on other antioxidants such as glutathione. It is a strong chelator of copper thereby reducing the copper-mediated damage during AGE activity (7). Finally, it has a possible, yet unconfirmed, bond-breaking capability by dissolving certain bonds (S-S bonds) on cross-linked proteins. The dosage of carnosine remains a contentious issue. Some authorities suggest 1000 mg a day (or even more), while some others are more conservative, suggesting 200 mg-500 mg a day. Metformin (brand names Glucophage®, Metforal®) is a standard anti-diabetic drug (dimethyl-biguanide) used worldwide both against insulin-dependent and against non-insulin-dependent diabetes. 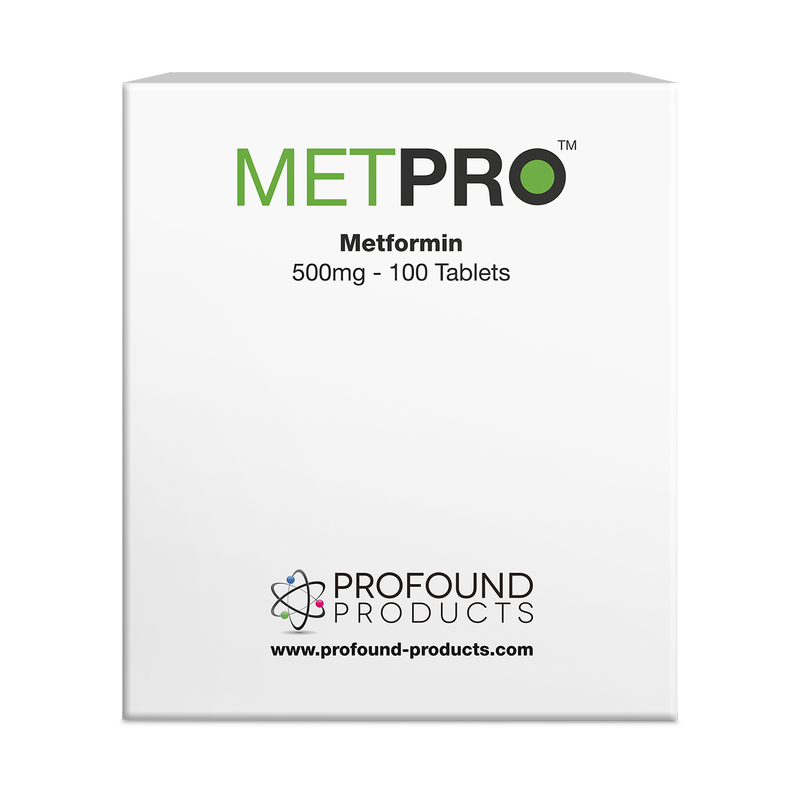 Although it is used primarily to increase peripheral sensitivity to insulin and lower blood glucose, metformin has several other important actions which are not yet appreciated by many physicians. Metformin lowers cholesterol, reduces body fat, stimulates antioxidant defences and it is also an effective inhibitor of glycation. It reduces the formation of AGEs, particularly those affecting collagen and it prevents diastolic stiffness in the myocardium. It has direct anti-glycation effects and improves cross-linking induced damage to nerves in diabetic rats. Its main mechanism of action is its carbonyl trapping ability (10). In a recent clinical trial the effect on metformin on methylglyoxal was studied in patients with diabetes. Metformin significantly reduced methylglyoxal and thus reduced the effects of hyperglycaemia (11). Methylglyoxal, and the related compound, glyoxal, are both reactive carbonyl agents (alpha-dicarbonyls) which are blocked by the quanidine molecule, (remember that metformin is a guanidine-containing drug). Specifically, the guanidine moiety of metformin combines with methylglyoxal dicarbonyls to form guanidine-dicarbonyl adducts which are then eliminated from the tissues. With reduced amounts of carbonyl groups in the tissues, the likelihood of cross-linking is reduced. This mechanism of action is similar to that of aminoguanidine, which, as the name suggests, it is also a guanidine-containing molecule. More recent experiments show metformin to have widespread activities as a cross-link inhibitor. It reduces cross-linking of fibrin proteins which take part in the clotting of blood. Exaggerated cross-linking of fibrin results in abnormal blood clotting and therefore an increased risk of thrombosis, (with its consequent myocardial infarction or stroke). Metformin reduces fibrin cross-linking and therefore, ultimately, reduces the risk of thrombosis. An agent structurally similar to metformin is aminoguanidine, (sometimes named Pimagidine) which has been studied relatively extensively and the reports have been encouraging. As with the case of metformin, aminoguanidine is also a guanidine-containing agent, and it therefore acts as a carbonyl trapping agent. Aminoguanidine was one of the first AGE inhibitors, introduced in 1986 as a trap or scavenger of reactive carbonyl groups. Aminoguanidine works by forming guanidine-dicarbonyl adducts, thereby reducing the numbers of free carbonyl groups. In particular, it is active against certain aldehydes which contribute to cross-linking, (e.g. alpha-oxoaldehyde, and malondialdehyde). Aminoguanidine is active mainly during the early stages of glycosylation. It is an effective inhibitor of cross-linking initiated by glucose molecules, but not as effective in situations involving ribose-related cross-linking. In any case, it prevents collagen cross-linking in tendons and skin which shows its potential for prevention of muscle and joint age-related stiffness, and skin ageing (wrinkles). Recently, researchers confirmed that aminoguanidine is useful in improving wound healing, a property shared with carnosine. The mechanism is mainly due to its anti-glycation and collagen improving effects (12). It limits the development of diabetic complications in animals and it has shown promising actions in improving diabetic nephropathy in double blind human trials. In addition, it is a weak copper chelator. Copper chelation is important in AGE induced damage, as high amounts of free copper are more likely to increase AGE-induced injury. In association with kavalactones, another group of anti-aging compounds, it was found to chelate copper and iron, and also reduced glycosylation products (13). In a study, aminoguanidine was given to a group of rats daily for several weeks. The researchers found that AGEs levels in the eye were significantly reduced, and loss of visual cells was also minimised. This indicates an anti-glycation effect on both the molecules (AGEs) and the receptors for these molecules (RAGEs), resulting in a protective effect of the retina, i.e. a useful protection against retinal degeneration (14.) This AGE blocking effect of aminoguanidine in the retina has been shown in several experiments in the past, and it seems to be very relevant in preventing age-related degeneration of the retina. Aminoguanidine prevents cardiac enlargement by reducing the risk of glycation-induced damage to cardiac and aortic collagen (15). In addition, it prevents cross-linking between lipoproteins, (proteins carrying fat molecules) and therefore reduces the risk of blockage of the arteries, particularly the small arteries that feed the nerves. It is such a strong carbonyl scavenger that it can sometimes result in excessive removal of carbonyl groups (which, in small quantities, are necessary for the normal functioning of the metabolism). This can, on rare occasions, give rise to toxicity particularly if aminoguanidine is used in excessive doses (over 600 mg daily without medical supervision). In theory, the concomitant use of pyridoxamine (see below) can reduce the likelihood of this potential problem. Aminoguanidine has other actions which complement its anti-glycation effects. For example, it reduces inflammation by interfering with the nitric oxide actions (16). Acting as an α-Dicarbonyl trap, aminoguanidine showed some initial promise as a glucosepane blocker. However, more research is needed in this respect. It has a short half-life in the plasma so it must be given in relatively high doses, in order to continuously trap AGE compounds. The dose is 150 mg once or twice a day, but diabetics sometimes use double this dose. Side effects are rare and mild and include nausea or headache. There are two main varieties of aminoguanidine, the hydrochloride and the bicarbonate variety. Although the bicarbonate variety is more commonly available, the hydrochloride version is believed to be the most active (bioavailable) as it is more soluble. 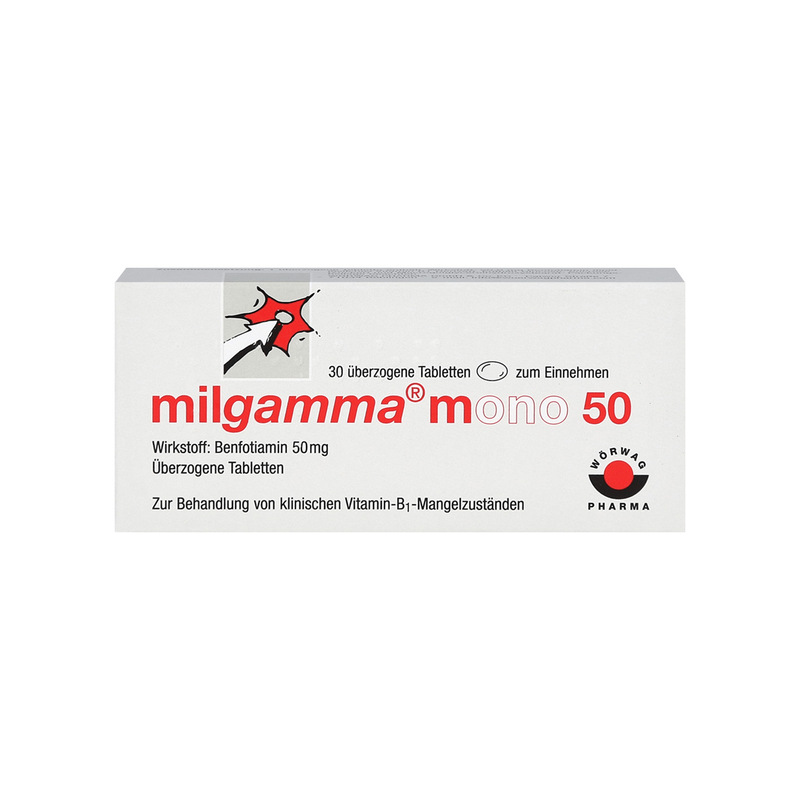 Aminoguanidine may be used together with carnosine which is active both in early and late stages of glycosylation, or together with metformin, particularly in diabetics. More cutting-edge ways of administer aminoguanidine include the novel concept of bio conjugation, i.e. the attachment of the aminoguanidine molecule to gold nanoparticles (17). As mentioned above, high doses of aminoguanidine may cause side effects, but conjugation with nanoparticles may help reduce these adverse effects and maximise the positive effects. 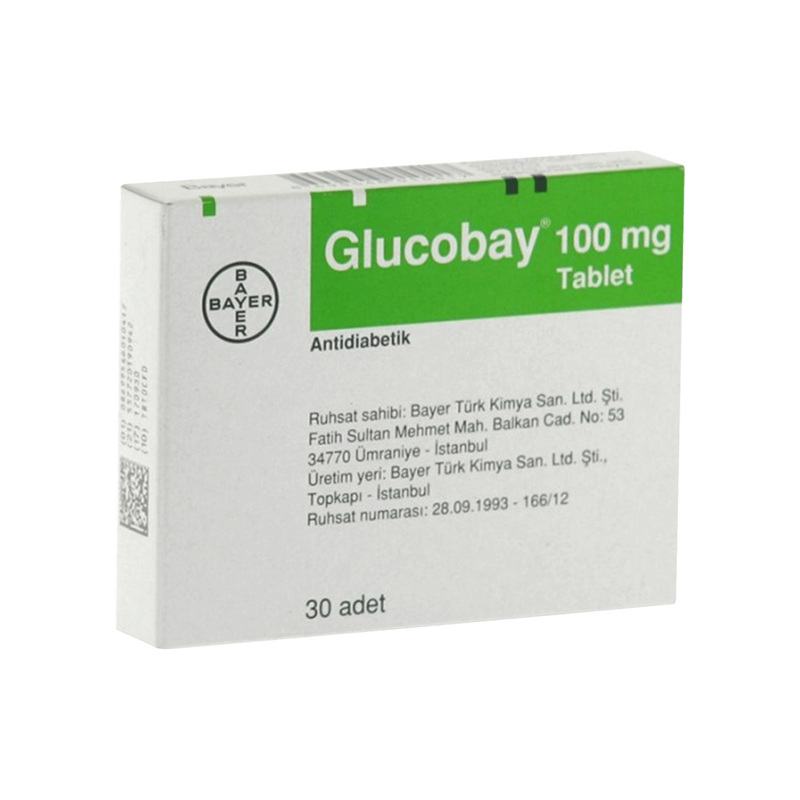 Another drug used in diabetes, Acarbose (Glucobay®) is an alpha-glucosidase inhibitor. Alpha-glucosidases are enzymes which facilitate the breakdown of complex carbohydrates, (such as starch) into smaller sugar molecules which are then absorbed through the intestinal wall. Acarbose blocks this, therefore inhibiting the absorption of certain sugar molecules such as maltose and sucrose, while allowing the absorption of glucose and lactose, which are needed for energy. In this way the overall absorption of carbohydrates is reduced and this lessens the risk of glycation-induced damage and AGE formation. Acarbose's main activities include a reduction of blood lipids (reduced uptake of triglycerides), an aid to weight loss, as well as being an important anti-glycation activity (18). As with the case of metformin, acarbose has hitherto been used primarily to reduce blood glucose and therefore improve the symptoms of diabetes. However, new research is unravelling its anti-glycation properties which are in addition to its glucose-lowering actions. For this reason, acarbose is not only indicated for treatment of diabetes, but also for treatment of diabetic complications and other AGE-related damage. Several studies have shown that Acarbose reduces the formation of glycated proteins (including the glycated haemoglobin A1c which is a marker for diabetes). Acarbose is safe but it may have side effects such as abdominal pain and cramps, bloatedness and diarrhea. These are due to excessive amounts of unabsorbed carbohydrates in the bowel. The usual dose is 50 mg to 100 mg daily but the maximum should be kept to 300 mg a day to prevent these side effects. For greater benefits, it may be worth using acarbose together with other cross-link inhibitors such as carnosine. Acarbose is best taken by chewing the tablets, usually just before or during meals. There are three different vitamers of Vitamin B6: pyridoxal, pyridoxine (the form traditionally used in supplementation) and pyridoxamine. All of these are naturally occurring. Pyridoxamine (brand name Pyridox-Pro™) is found in animal sources, whereas pyridoxine is also found in plant sources. All three variants have a certain degree of anti-cross-linking actions, but pyridoxamine is the strongest and most significant. Trials are in progress to evaluate the product's safety and efficacy in preventing diabetic complications. Pyridoxamine prevents the formation of AGEs by 25-50% and ameliorates diabetes-related kidney dysfunction, (it improves albuminuria, plasma creatinine and hyperlipidemia). It works by trapping reactive carbonyl groups and exhibits free radical scavenging properties. It is most effective in the later stages of glycosylation and therefore, for full protection, it may be used together with aminoguanidine which is active in the early stages of glycosylation. In fact, comparison studies with aminoguanidine suggest that, although both are effective against AGEs, pyridoxamine may be a more versatile agent to use against glycosylation, in order to avoid the low risk of potential toxicity problems with aminoguanidine mentioned above. Pyridoxamine does not affect the levels of blood glucose. It inhibits both methylglyoxal and glycoaldehydes which are most active following lipid peroxidation. It forms methylglyoxal-pyridoxamine dimers which are inactive and eliminated easily. There have been reports of neurotoxicity from using very high doses of pyridoxine, but the use of pyridoxamine is thought to be free from these side effects. The reason is that pyridoxamine needs to be phosphorylated (i.e. it needs the addition of phosphate on the main molecule) before it can become active. These are aromatic organic acids named after the developers, and are relatively new AGE inhibitors. Apart from anti-diabetic and anti-glycation effects, these have also been shown to have lipid-lowering benefits. Although several of their benefits are similar to those of aminoguanidine, these LR products are not carbonyl blockers. They are, however, good heavy metal chelators, just like carnosine and aminoguanidine. It is believed that even chelation alone, in the absence of carbonyl trapping, can be a good way of blocking AGEs. Penicillamine. Although not a potent anti-glycator, penicillamine can be used to improve arterial wall function which has been compromised due to glycation. In this respect, it has been used in association with vitamin E (19). Tenilsetam (3-2-thienyl-2-piperazinone). This been used as a brain stimulant (nootropic). New research has examined its anti-AGE actions and its significant glycosylation-inhibiting benefits. It works like most cross-link blockers, namely by carbonyl trapping. In addition, Tenilsetam has antioxidant activities and copper chelating properties. OPB-9195 (2-isopropyli-denehydrazono-4-oxo-thiazolidin-5-ylacetanilide). This carbonyl-trapping agent is a synthetic thiazolium derivative which inhibits cross-linking and improves kidney function. It also improves vascular function and reduces arterial thickening. Pentoxifylline (brand name Trendal®) is normally used to improve circulation to the extremities. Kinetin (furfuriladenine) brand name Kinerase®. In a study, kinetin inhibited carbonyl activity and reduced AGEs by up to 68%, but there are no new studies to confirm these benefits. Kavalactones are some promising and relatively new inhibitors of protein glycation. These are also effective against lipid peroxidation (13). Benfotiamine. This is a very promising compound which has several other actions as well as being anti-glycator. In a study, a combination of pyridoxamine and benfotiamine was found to improve pain, reduce inflammation and improve the quality of life in osteoarthritis patients (20). The most important cross-link breaker is the drug ALT-711, an orally active compound. This is a thiazolium product (dimethyl-3-phenacyl-thiazolium chloride) used to be manufactured by the Alteon Corporation in the US. A related compound is PTB (dimethyl-Phenacyl-Thiazolium Bromide), which has actions similar to the chloride variety. ALT-711 is not an enzyme as such, but it has enzymatic properties. It has been shown to actually break the covalent bonds between cross-linked proteins and free the proteins which are then able to function again normally. It has also been studied in a number of human clinical trials. It was found to be effective in reversing some of the complications of diabetes, improving myocardial and arterial stiffness, heart failure, and reducing blood pressure. Unfortunately, its production has been stopped, despite showing promising effects. A main reason for this was the lack of funds available to the manufacturing company. Nevertheless, research into this compound continues and many of its effects are now better clarified (21). One of the most useful, well-studied and relevant anti-glycator is aminoguanidine, with others such as carnosine, metformin and acarbose being close second. There are many others in the pipeline, but it is rather disappointing that despite intense research there are no efficient cross-link breakers available. The problem of glycation is proving to be a tough one to solve, but nevertheless it may be possible to delay the process by using existing proven anti-crosslinking compounds such as aminoguanidine. 1. Ergin V, Hariry RE, Karasu C. Carbonyl stress in aging process: role of vitamins and phytochemicals as redox regulators. Aging Dis. 2013;4(5):276-94. 5. Budzeń S, Rymaszewska J. The biological role of carnosine and its possible applications in medicine. Adv Clin Exp Med. 2013 Sep-Oct;22(5):739-44. 6. Pepper ED, Farrell MJ, Nord G, Finkel SE. Antiglycation effects of carnosine and other compounds on the long-term survival of Escherichia coli. Appl Environ Microbiol. 2010 Dec;76(24):7925-30. 7. Boldyrev AA, Aldini G, Derave W. Physiology and pathophysiology of carnosine. Physiol Rev. 2013 Oct;93(4):1803-45. 12. Chang PC, Tsai SC, Jheng YH, Lin YF, Chen CC. Soft-tissue wound healing by anti-advanced glycation end-products agents. J Dent Res. 2014 Apr;93(4):388-93. doi: 10.1177/0022034514523785. Epub 2014 Feb 19). 14. Kim J, Kim CS, Sohn E, Lee YM, Jo K, Shin SD, Kim JS. Aminoguanidine protects against apoptosis of retinal ganglion cells in Zucker diabetic fatty rats. Eur Rev Med Pharmacol Sci. 2014 Jun;18(11):1573-8). 15. Elbe H, Vardı N, Orman D, Taşlıdere E, Yıldız. A Ameliorative effects of aminoguanidine on rat aorta in Streptozotocin-induced diabetes and evaluation of α-SMA expression. Anadolu Kardiyol Derg. 2014 Feb 14. doi: 10.5152/akd.2014.5047. [Epub ahead of print]). 16. Farghaly HS, Thabit RH. L-Arginine and aminoguanidine reduce colonic damage of acetic acid-induced colitis in rats: potential modulation of NF-κB / p65. Clin Exp Pharmacol Physiol. 2014 Sep 15. doi: 10.1111/1440-1681.12287. [Epub ahead of print]). 17. Ahmad S et al. Glycoxidation of biological macromolecules: A critical approach to halt the menace of glycation. Glycobiology. 2014 Nov;24(11):979-90. doi: 10.1093/glycob/cwu057. Epub 2014 Jun 19). 18. Tsunosue M, et al. An alpha-glucosidase inhibitor, acarbose treatment decreases serum levels of glyceraldehyde-derived advanced glycation end products (AGEs) in patients with type 2 diabetes. Clin Exp Med. 2010 Jun;10(2):139-41. 19. Zhang J, Slevin M, Duraisamy Y, Gaffney J, A Smith C, Ahmed N. Comparison of protective effects of aspirin, D-penicillamine and vitamin E against high glucose-mediated toxicity in cultured endothelial cells. Biochim Biophys Acta. 2006 May;1762(5):551-7. Epub 2006 Mar 20. 20. Garg S, Syngle A, Vohra K. Efficacy and tolerability of advanced glycation end-products inhibitor in osteoarthritis: a randomized, double-blind, placebo-controlled study. Clin J Pain. 2013 Aug;29(8):717-24. 21. Zhang B, et al. Alagebrium (ALT-711) improves the anti-hypertensive efficacy of nifedipine in diabetic-hypertensive rats. Hypertens Res. 2014 Oct;37(10):901-7.